On January 20th the Royal Liverpool Philharmonic Orchestra will be setting off to Japan for a couple of weeks. The RLPO are 175 years old this year, the oldest professional symphony orchestra in the UK. 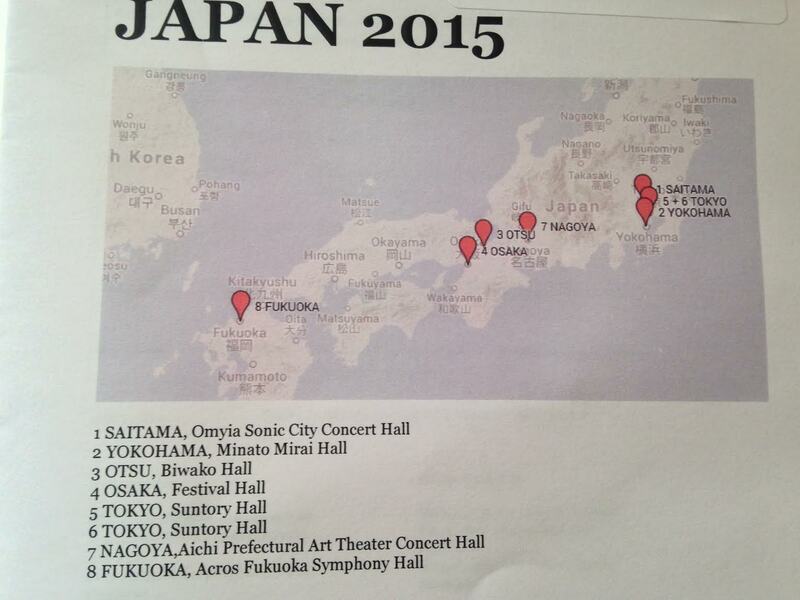 This will be the first time the orchestra has visited Japan. The orchestra will be playing eight concerts in seven cities before returning home on the 31st January. I will be staying out there until February 14th as my wife is Japanese and we will be on our honeymoon, finally! I will be writing the blog as per usual and will be informing all about the rehearsals, concerts, the journeys, what we see, what we eat and drink and any news at all. So, keep your eyes peeled on here for info about all the events as they happen. The orchestra will be offering two programmes conducted by Chief Conductor Vasily Petrenko. The piano soloist for the tour will be Japanese megastar Nobuyuki Tsuiji. After the tour finishes I will doing all the tourist things but also cramming in a couple of trumpet things. I will be picking up a trumpet from the 14 floor Yamaha Ginza, stopping off at the Trumpet Station and visiting legendary mouthpiece maker Toshi Kameyama for some bespoke mouthpieces to be made. Further trips for the RLPO this year will be to to the Czech Republic and Romania. This entry was posted in The Tour Blogs & Brendan's Solo Blogs and tagged 'RLPO', 2015, Czech, ginza, japan, kameyama, liverpool, nobuyuki, orchestra, Petrenko, philharmonic, republic, Romania, royal, station, toshi, Trumpet, tsuiji, Vasily, Yamaha. Bookmark the permalink. Hope it goes very well and that you enjoy the music-making as well as your belated honeymoon! I understand that tickets for the concerts are now very difficult to come by, so it’s going to be packed houses all the way. Enjoy! Looking forward to the blog. Have a wonderful time both music making and on your belated honeymoon.